Of course I watched Daniel Boone! 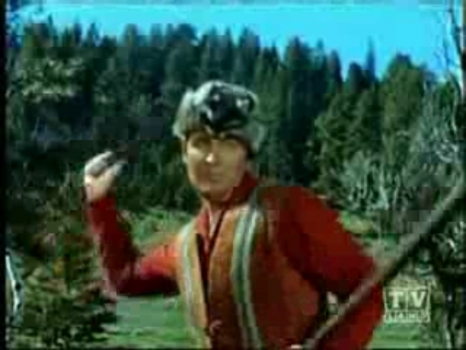 After all, Davy Crockett was in it (too bad Buddy Ebsen was not)! I still enjoy watching the shows,even more so when they are in color.The color in the shows back then was so much better.Has any one beside me noticed that?Yes,it would have been great if they had both been in it! Thanks, RonM. I've replaced the photo with a frame grabbed from the show intro. The picture obviously does not contain Ed Ames. I believe that actor is Albert Salmi playing a side kick character from the first season named Yadkin.